26 Allen & Heath Xone 23 packages available. DJkit are excited to introduce Allen and Heath’s classic Allen 7 Heath Xone:23 mixer. Allen & Heath Xone 23 is a high performance 2+2 channel DJ mixer and update on the popular Xone:22 mixer with enhanced features. The Allen & Heath Xone 23 is packed with pro features usually used in top clubs across the globe. It has an enhanced version of the legendary Xone filter with resonance control and high-pass and low-pass filters giving more flexibility in your mix. If that wasn’t enough, it has VCA faders, 3 band total kill EQ, illuminated switches, cross fader curve selector for blending or scratching styles. 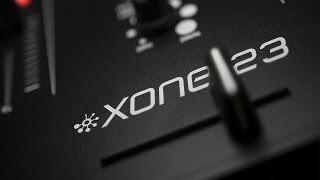 The Allen and Heath Xone:23’s analogue Voltage Control Filter (VCF) system offers Low-Pass and High-Pass filters, as well as ‘mild to wild’ resonance control and an FX loop to connect to third party FX units for optimum connectivity. 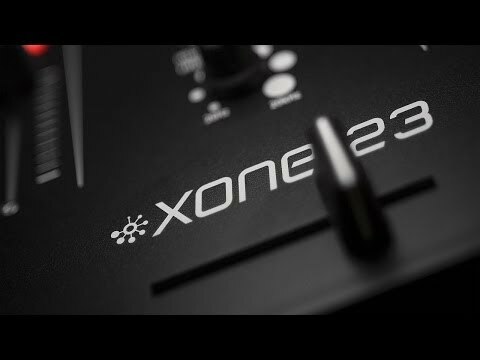 Djkit believe its important you can achieve new heights or originality in your mixes thanks to the Xone:23’s 2 stereo channels feature. The product has independent level controls for each input and enables up to four stereo sources to be simultaneously routed to the mix. This includes turntable cd media players and external DVS soundcards. There is no risk of you feeling limited by the amount of sources you can input. It should not be forgotten that the main mix output and mic input are on professional standard balanced XLR’s. The Xone:23 is armed with impressive monitoring facilities, including a booth output with its own volume control, a cue mix control, and signal levels clearly displayed on the 9 segment peak hold meters. Inspired by the Xone:DB4, the Allen & Heath Xone 23 is very pleasing to the eye with soft touch, backlit controls, light-piped meters and a distinctive new shaped steel faceplate. It raises the bar of compact and intuitive mixing, making it a worthy edition to the prestigious zone series. Considering purchasing the Allen & Heath Xone 23? Have questions? Ask people who've recently bought one. 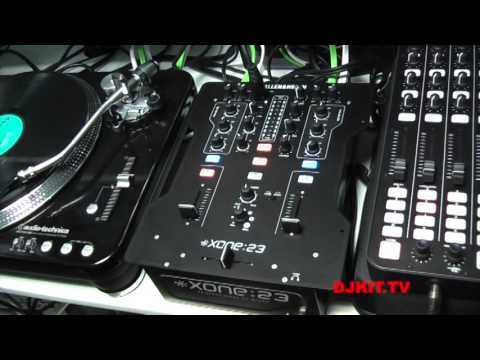 Seen a video for Allen & Heath Xone 23 online or have you own video? 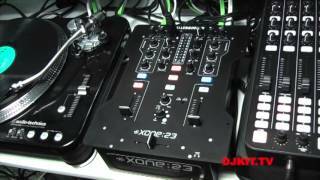 Check out Allen & Heath Xone 23 on DJkit.com!